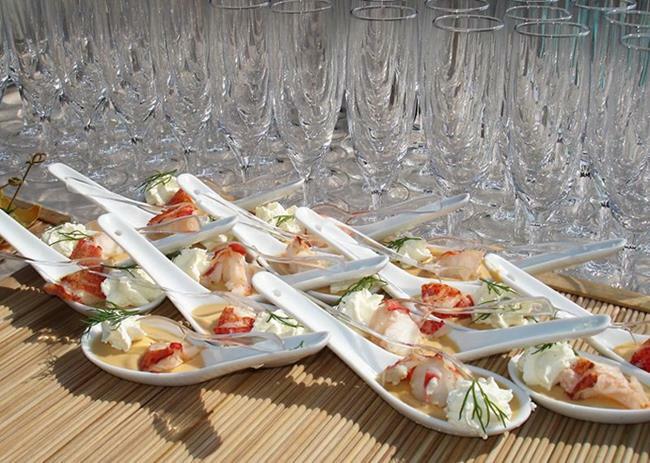 These individual lobster appetizers were waiting for takers at a wedding in Normandy. Not only did they look yummy, but they made an interesting pattern, as did the empty (not for long) champagne flutes behind. The taste turned out to be just as perfect as the combination of colors. Taken outdoors with a Sony W5 digital camera, natural afternoon light. Slightly cropped.